ANGLO American provided further evidence that it may have found a major new copper discovery in Brazil after CEO, Mark Cutifani, said the group had consolidated 37km of ground following intersections of copper at grades typical of today’s mining. Although he was keen to curb expectations – it will take 12 more months of exploratory work before increasing confidence on the discovery – Cutifani betrayed some excitement about the prospect. “We have intersected copper mineralisation at grades that you see today as well as length intercepts,” he said in a media conference following the group’s full-year results presentation in which the UK-listed group turned in another strong performance. “We stopped after drilling six holes and consolidated 37km of ground and now we are flying electromagnetic surveys and have found potential targets. It will take about 12 months to develop the discovery further,” he said. Copper performed well for Anglo American in the 12 months ended December 2018. Of the six operating segments that comprise earnings before interest, tax, depreciation and amortisation (EBITDA), earnings from copper were the second highest, after coal. Underlying EBITDA for the year increased 4% to $9.2bn earned on the back of a 6% increase in copper equivalent production, an increase worth $400m including cost improvements. There was also better pricing, particularly the platinum group metal (PGM) basket of metals, thermal and metallurgical coal, and nickel. There was an overall cash outflow, related partly to impairments suffered by Anglo American Platinum (Amplats) and owing to income from disposals in the 2017 financial year that weren’t replicated in the year under review. The outcome, therefore, was a 13% improvement in headline share earnings which came in at $2.80 (2017: $2.40/share). The total dividend – after a final dividend of some 51 cents/share – was $1.00 (1.02/share) in line with Anglo’s 40% of headline earnings payout policy. From a balance sheet perspective, net debt was heavily reeled in: net debt as of December 31 was $2.8bn compared to $4.5bn on December 31 in 2017. 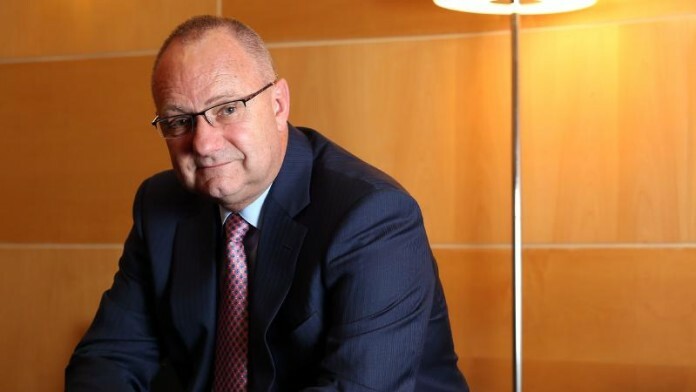 In the past three to four years, net debt has been reduced $10bn, but Stephen Pearce, Anglo American’s CFO, said there were no plans to boost the payout or consider share buy-backs. There was also the fact that Anglo has to shortly start making its contribution to the capital cost of Quellaveco, its Peru-based copper project. In July, Anglo pre-funded the first $600m of the $5bn project by selling a 21.9% stake to Mitsubishi taking the Japanese firm’s total Quellaveco stake to 40%. However, on an attributable basis, the group has to pitch in its 60% share once the $600m from Mitsubishi has been expended. Pearce said Anglo’s share this year would be about $300m. Cutifani again took time to log Anglo’s process since he was appointed in 2013. Using the 2012 financial results as benchmark, Anglo American had lifted copper equivalent production a fifth in that time whilst lowering unit costs 26% on a nominal basis, and 43% in real terms – using half the number of assets. “We see much more opportunity to improve,” said Cutifani. “There are still between $3bn to $4bn in cost and run-rate improvements. We also have growth options, but in order to grow profitably, there is no need to buy it,” he said – effectively putting the kibosh on the possibility Anglo may rejoin global merger and acquisition activity.